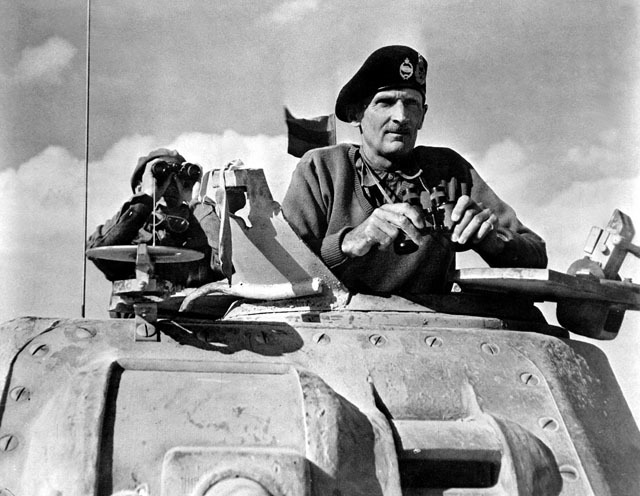 Field-Marshal Bernard Law Montgomery and the ANZACs - ‘Hello, Monty, glad to see you.’ The governor of Gibraltar, Rusty Eastwood, held out his hand as the car door opened and a distinctive black beret became visible. ‘Hello, Rusty. How are you?’ A thin-faced man with a trim moustache stepped out of the car and was quickly ushered out of sight. But not quite quickly enough. The governor’s visitor was seen by a Nazi spy who happened to be visiting the colonial secretary at that very moment. ‘Surely that cannot be Field-Marshal Montgomery?’ the spy asked. The colonial secretary looked embarrassed and tried to hide the fact the hero of El Alamein was in Gibraltar. It was supposed to be a secret Montgomery was not in the North African desert. This was 26 May 1944 as the invasion of Europe was about to begin. As soon as the spy left, he phoned Berlin. Based on this military intelligence, the Nazis quickly diverted troops to repel the expected southern landing in the Mediterranean. The spy was taken in by one of the biggest hoaxes of the war. He hadn’t seen any top British general. Instead he’d been fooled by the Australian actor, Clifton James, impersonating Field-Marshal Montgomery. The allies did not want the Nazis to know they were planning to land on the beaches of Normandy, so they devised an elaborate deception. Like Clifton James, ‘Monty’ had an Australian upbringing. His father had been appointed Bishop of Tasmania in 1889 and Monty had spent over a decade there. Perhaps his time in Australia gave him a unique understanding of the Australian forces in the Middle East. 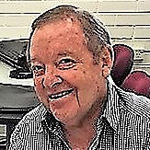 He switched his Field Marshall’s cap for an Aussie slouch hat when he arrived in the desert, then to the black beret for which he became famous. Like Joshua, who commanded the desert troops of Israel over three thousand years before, Monty knew the importance of being single-minded and whole-hearted. ‘Do not fear… be strong and courageous!’God had told Joshua. Within a week of Monty’s arrival, the atmosphere of defeat changed to hope. The Second Battle of El Alamein became the first decisive major allied victory. At a time when high-ranking officers tended to issue orders from well behind the front lines, Monty’s personal appearances greatly heartened his troops. Monty’s wife said in a booklet published in 1945: ‘I wonder how many of my readers have been brought up to learn a verse from the Bible every day? I was... and as a consequence know nearly all the Psalms and... New Testament by heart. And I brought my children up to learn a verse from the Bible every morning before breakfast. It may be that Field Marshal Montgomery's knowledge and love of the Bible starts from this fact.